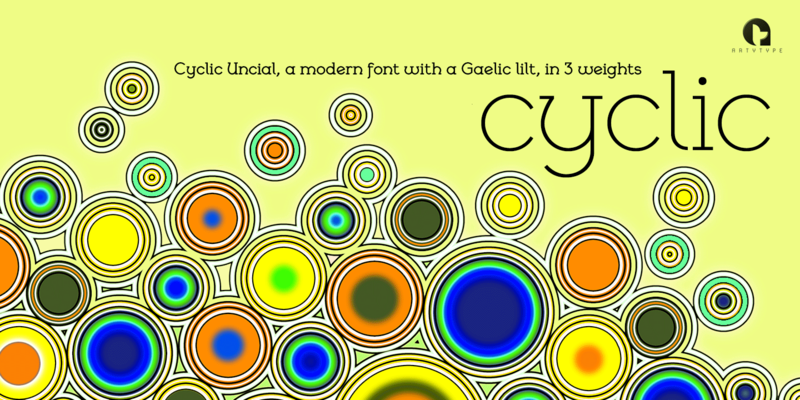 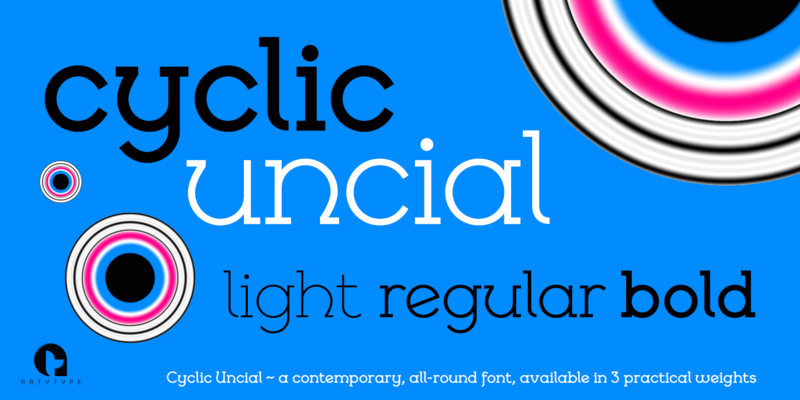 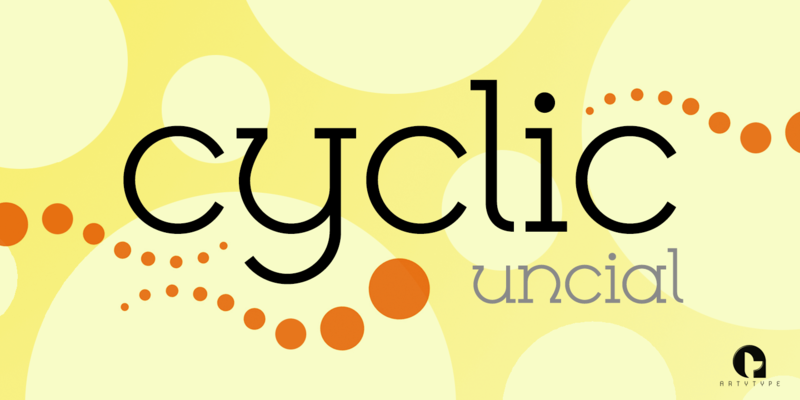 Cyclic Uncial is a stylish slab serif font with a celtic vibe, sister typeface to the modern Cyclic family. 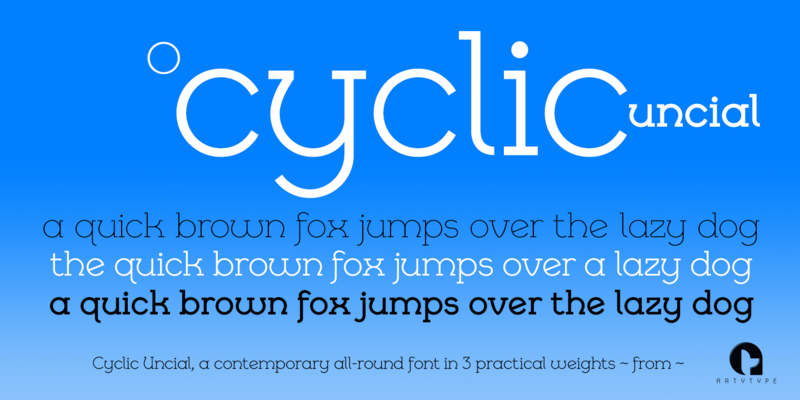 The name ‘cyclic’ suits this typeface in several ways. 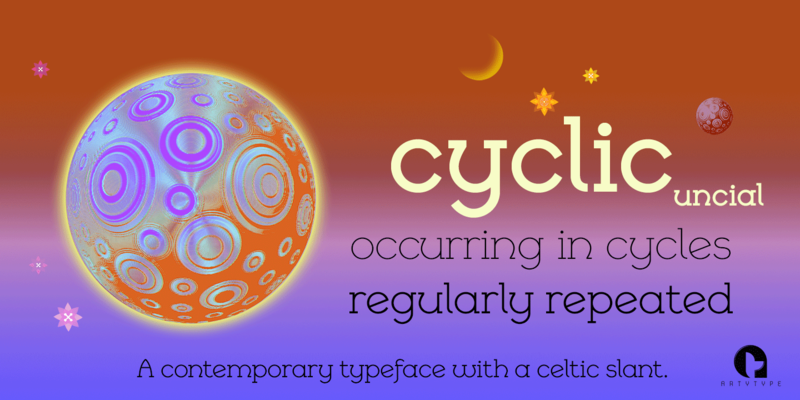 Firstly because I wanted to create an ‘all-round’ typeface (pun intended) that could adapt to most applications, but also, as the dictionary definition explains - “occurring in circles, regularly repeated”. 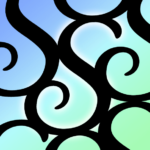 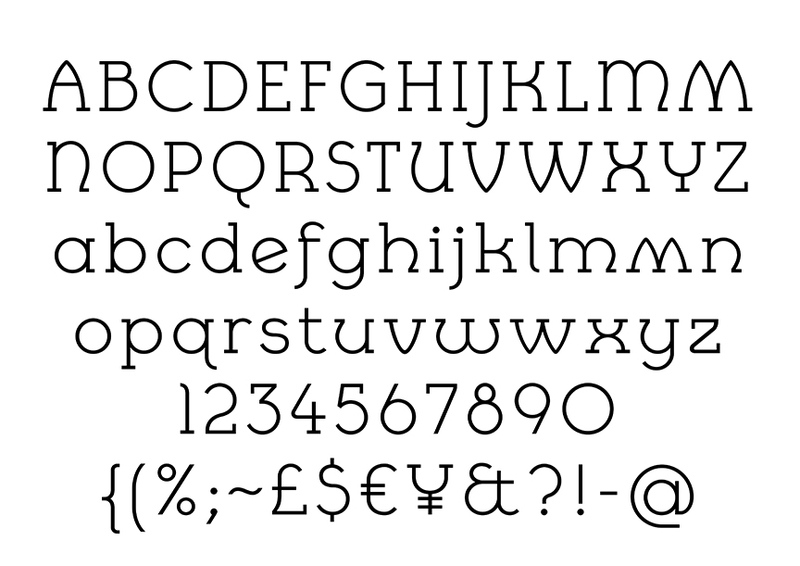 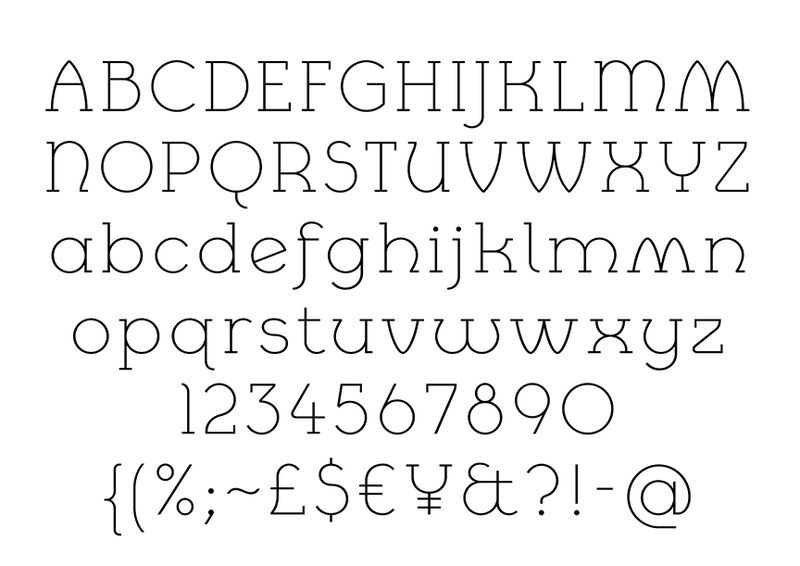 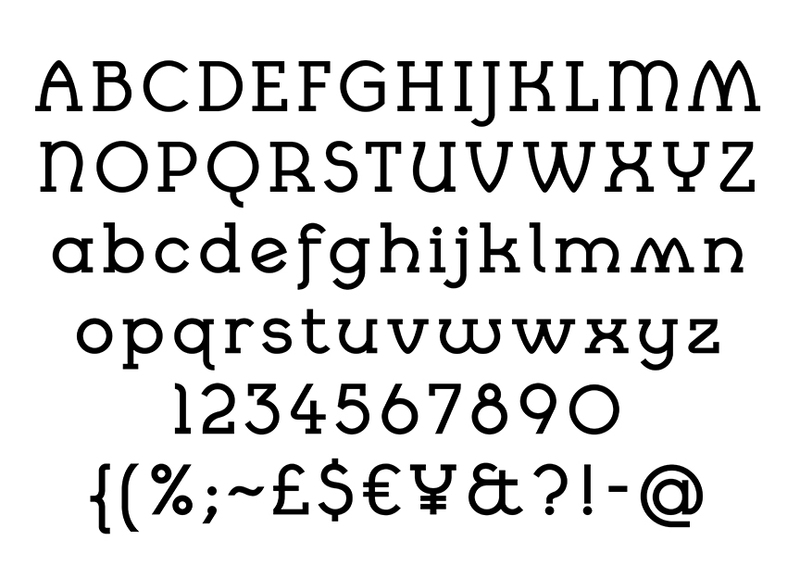 The alternates in the font on style set 1 are the standard glyphs that are defined as default characters in the separate Cyclic set.